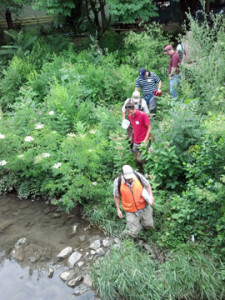 I have conducted numerous classroom and field trainings for inspectors, designers, MS4 staff, watershed groups, and other professionals. With some of my CWP colleagues, I was instrumental in developing some of Virginia DEQ’s stormwater certification curricula for inspectors. I conducted classroom and/or field trainings across Virginia and in some other states, most recently for the first two years of the Chesapeake Bay Landscape Professional certification program. 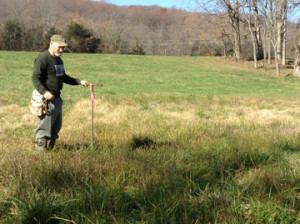 I am a Virginia certified stormwater inspector and CBLP Level 1 and 2. 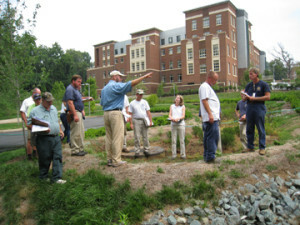 I also led many stormwater design charrettes and workshops in Virginia, West Virginia, Georgia, Vermont, Utah, Guam, Mariana Islands, Ohio, and other locations. I have managed several grant-funded implementation projects for watershed organizations and local governments. For these projects, I prepared project designs, assisted with bidding and contractor selection, and provided construction oversight for proper installation. Several of these projects involved working with volunteers, acquiring grant funds, and training property owners on proper stewardship and maintenance of the practice. This has included projects at churches, parks, schools, government buildings, and other venues. I also have extensive experience with stormwater retrofit inventories of public and private land. Early identification of natural resources and stormwater opportunities are key to stewardship and wise use and development or redevelopment of land. In this modern era of stormwater management, confusion abounds about how to apply new stormwater criteria, and the practices that are best suited to a particular land use scenario. As one of the key contributors to the Virginia Runoff Reduction Method and the BMP Clearinghouse specifications, I can help “clear the air” with regard to how stormwater fits into the larger land use puzzle. I am also an experienced wetland delineator, and have conducted feasibility and land use studies for various properties. I am currently working in collaboration with other organizations to develop master plans for several large properties with the goals of improving existing conditions and providing blueprints for future land use. Coming from a local government background, I enjoy working with and assisting local stormwater managers with program planning and implementation. I have worked with many MS4 communities across Virginia and other states with projects related to post-construction, IDDE, good housekeeping, and public outreach. I am the principle author of Managing Stormwater in Your Community, a national EPA guide on post-construction stormwater management. 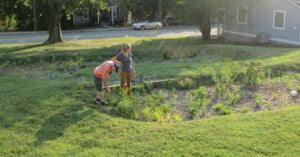 Local governments and property owners are waking up to the need to maintain stormwater practices. Hirschman Water & Environment can work with associates in the construction and landscape trades to provide stormwater practice maintenance activities so that practices maintain their function and performance through time. We can help clients develop a reasonable and predictable maintenance regime that will avoid larger and more costly problems down the road. 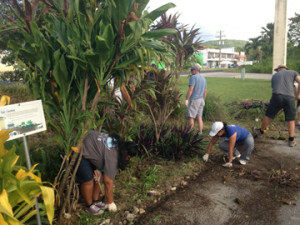 Sometimes it is necessary to take stock of how the stormwater world is progressing. How well do stormwater BMPs really perform? What design elements lead to better performance? I have been involved in several applied research studies that attempt to answer these and similar questions. I worked with colleagues at Chesapeake Stormwater Network and Center for Watershed Protection on the “Performance Enhancing Devices” paper, outlining how soil media amendments, internal water storage, and enhanced vegetation can lead to improved runoff reduction and pollutant removal. I am currently working with several colleagues on updating the data that inform the runoff reduction rates for a variety of BMP types. I have access to a broad network of colleagues and can assemble and lead applied research efforts.